Tokugawa Ieyasu was a man that would be admired and remembered by many in Japan. From the time he was threatened with death as a young boy after being captured by Oda Nobuhide right until his eventual victory over Toyotomi Hideyori in Osaka Castle, fate and fortune were always on his side. Despite the weakness of his clan during his father and grandfather’s time, he has built up his clan to the extent that they surpassed and even ruled over all the other clans. He did not win all the battles that he engaged, but he won all the battles that matters. His victory at Sekigahara was due largely to the inaction of the Mori clan and the treachery of Kobayakawa Hideaki. There were many times that he survived battles and assassinations. Many people believed that if he were to die just 2 years earlier, before the elimination of his foes in Osaka Castle, the Tokugawa Shogunate would never have lasted under his son, Hidetada. At times, he was extremely heartless, such as his role in the death of his first wife and eldest son in order to please Oda Nobunaga, his senior ally. On the other hand, he was merciful enough to protect many defeated Takeda retainers from the wrath of Oda Nobunaga. He was also a man who would do whatever it takes to win such as the guile that he applied in order to bring down Osaka Castle. Unlike all the great men during his time, he could pass the rule of his clan to his son and the succeeding generations. Of course, it is impossible to say how Japan would have been like if other great men such as Oda Nobunaga, Takeda Shingen, Uesugi Kenshin, Imagawa Yoshimoto, Mori Terumoto or Hojo Ujimasa had prevailed over others and established their own shogunate to rule over Japan. We only knew that under Tokugawa Ieyasu and his successors, they did not entertain the idea of oversea conquest and that they established a long period of peace and isolation in Japan. 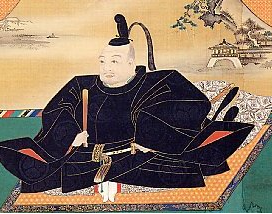 Tokugawa Ieyasu had numerous wives, 11 sons and 5 daughters. His favorite pastime was swimming and hawking. One thing undeniable was that Ieyasu was the man who was the eventual winner of the Warring State period. With his ultimate victory, he changed the destiny and history of Japan forever.